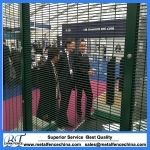 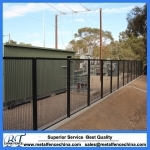 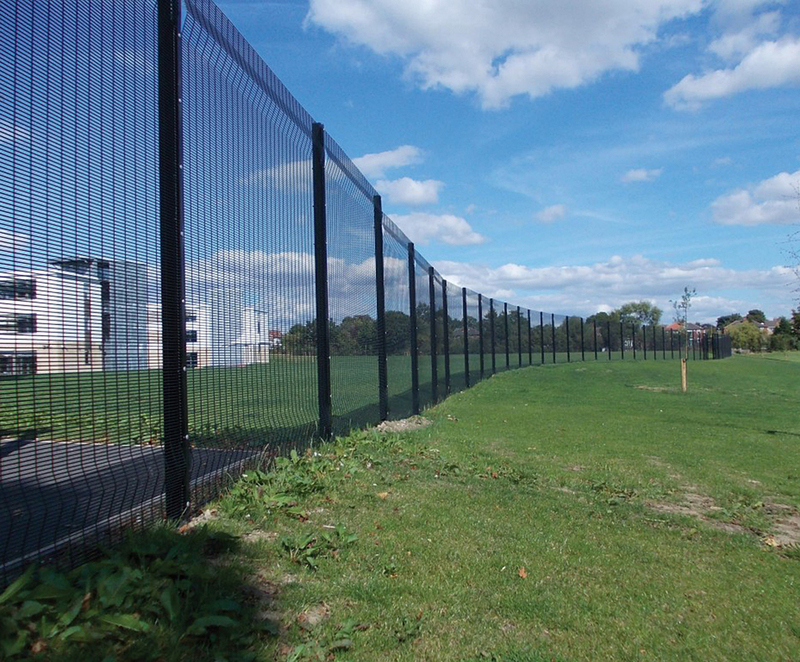 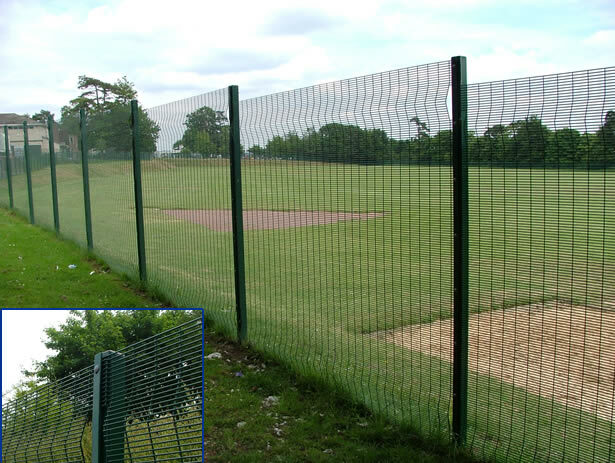 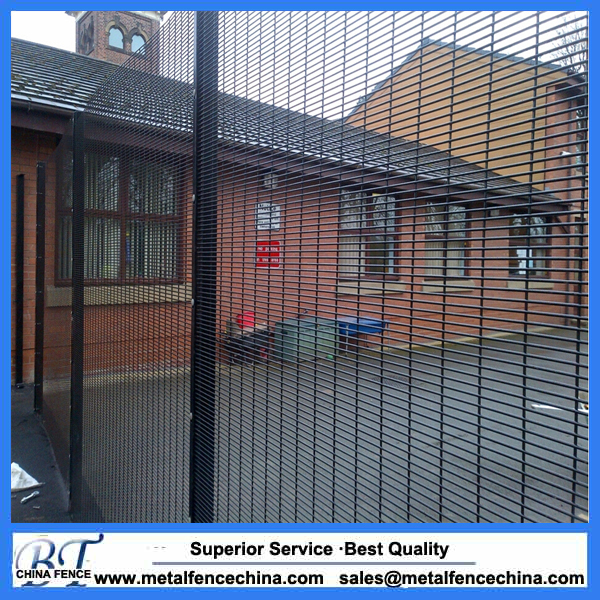 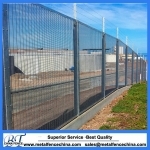 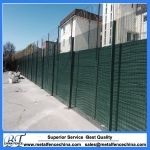 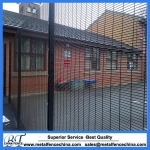 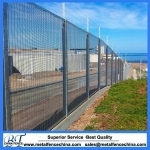 358 mesh fencing, also called 358 fence, which is well-known as anti-climb and anti-cut fence. 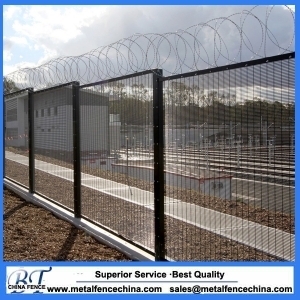 Perfectly suited to high security applications,like military, airport, prison, warehouse, factory etc. 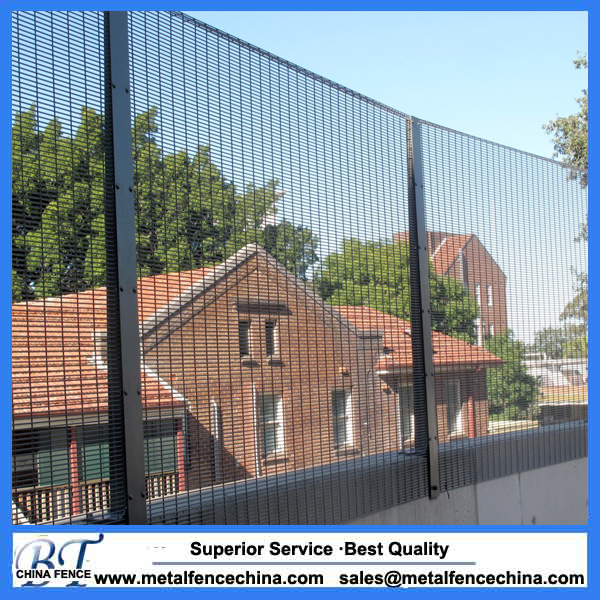 This high performance system provides the ultimate protection against anti-climb and cut through. 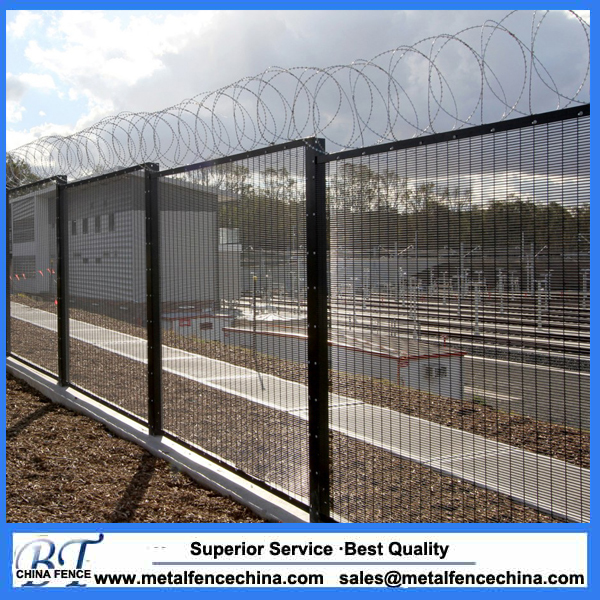 With the additional V-top like barbed wire andrazor barbed wire, the system will have multiple additional features to aid security. airport, prison, warehouse, factory etc. barbed wire, the system will have multiple additional features to aid security. 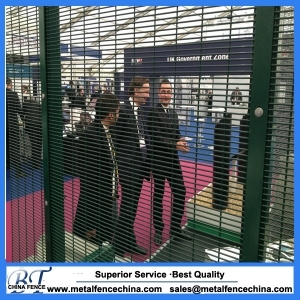 Wire thickness 3mm to 6mm, the most popular is 4mm (BWG Gauge 8#). 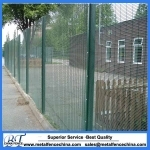 Hole size 76.2mm x 12.7mm (3 inch x 0.5 inch). 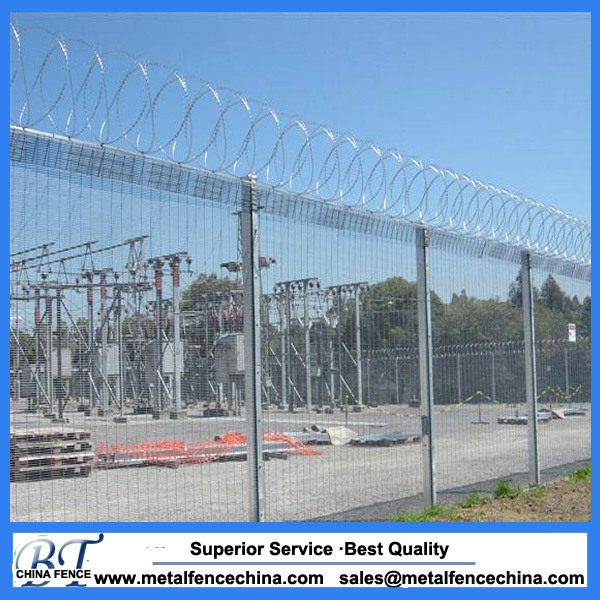 V-top including angle iron, barbed wire, razor barbed wire. 358 mesh fencing, also called 358 fence, which is well-known as anti-climb and anti-cut fence. 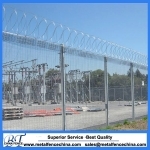 Perfectly suited to high security applications,like military, airport, prison, warehouse, factory etc. This high performance system provides the ultimate protection against anti-climb and cut through. 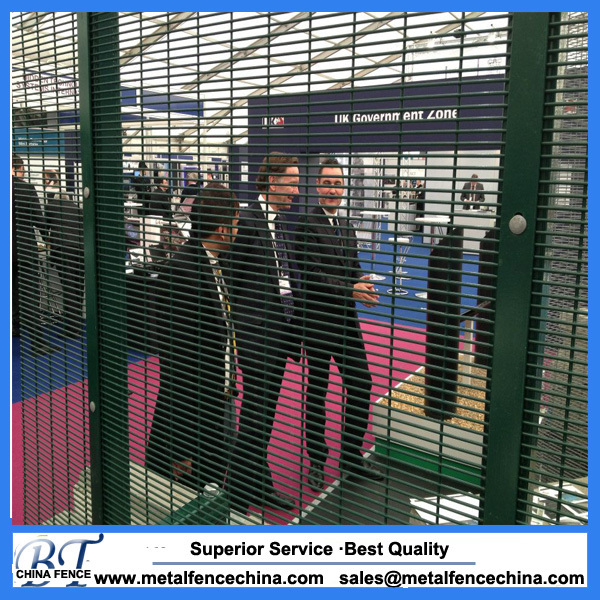 With the additional V-top like barbed wire andrazor barbed wire, the system will have multiple additional features to aid security. 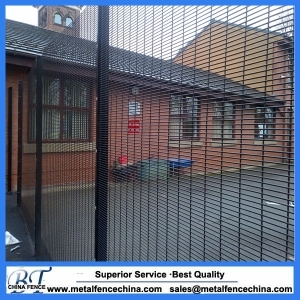 Copyright © 2008 - 2019 BT Metal Products All Rights Reserved.